Since I heard about these new shades I have been waiting every so patiently for them. I was so looking forward to these new shades. I knew from the few sneak peaks I have seen that I would love at least some of them and the others looked very interesting. I was so excited when I saw them on the shelf. I didn’t find ALL of them but I do have quite a few to show you. I am not going to waste too much time with my babble but before I get to the polish I have to mention something first. I have heard quite a few people have issues about some or all of these shades. Some people have experienced bubbling on application, chipping within a few hours and just all round yuckness. I started with one shade and tested all of the above. I only had a problem with one shade (not any of these listed above) and I will specify all these details per shade. I started my testing with this shade. I adore this colour so much. I have heard so many people who had huge issues with this so I decided to leave it on for 24 hours before making any decisions. I did not top coat it either. These photos were all taken after 24 hours. As you can see there was no chipping or bubbles. I was either very lucky or my bottle was perfect. The only issues I had was strange. On these photo’s you might notice a slight pink tinge on some of my nails. On the first night I fell asleep with my fingers in my hair and some of my hair colour seemed to rub off on the polish. This has never happened to me before. I did not have top coat on and I can only assume this is why. So these photos were taken almost two days in. Base coat and two coats of polish. No top coat. As you can see I had no problems at all (besides the colour transfer from my hair). The colour is gorgeous and quite unique for me. Flashy Pumpkin is a bright orange beautiful colour. 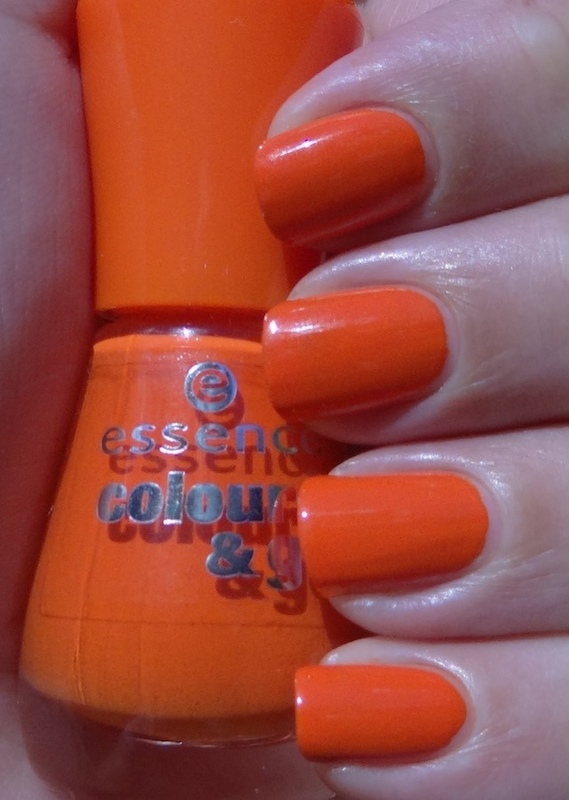 When I did my post about the Orange Polishes I was quite puzzled as to why Essence didn’t really have any orange polishes in their range. Flashy Pumpkin completely makes up for it. This is quite bright. Application was great even though on the two coats I used here I had very slight visible nail line in certain light and angles. This has no top coat. 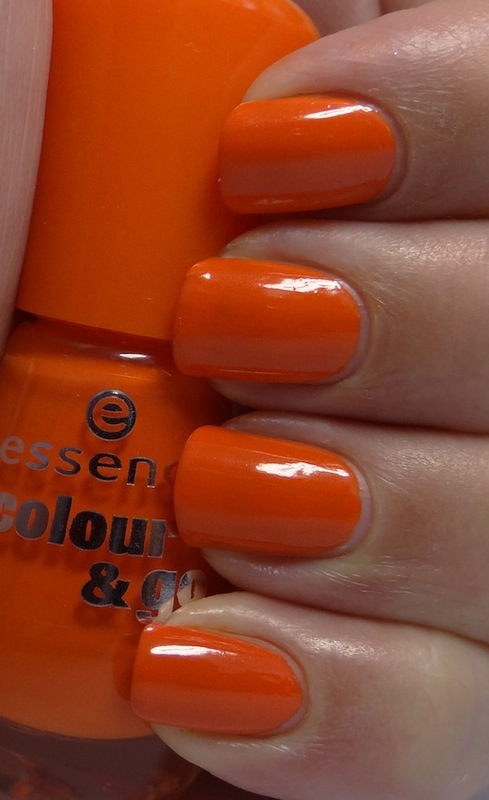 I don’t know if I am an orange fan (even though I seem to own a tons of orange polishes) but this is really pretty. Even though Hello Marshmallow isn’t unique in shade it is unique to the Essence collection. I couldn’t have asked for a better addition. 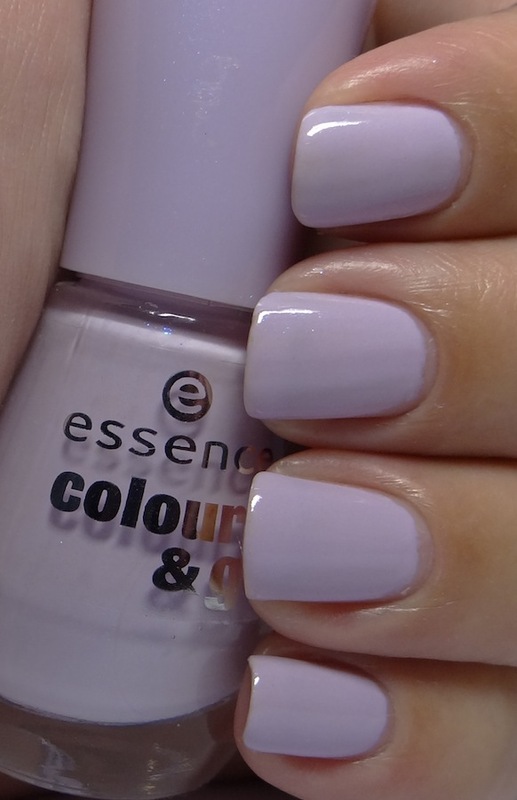 This is a soft beautiful lilac shade. 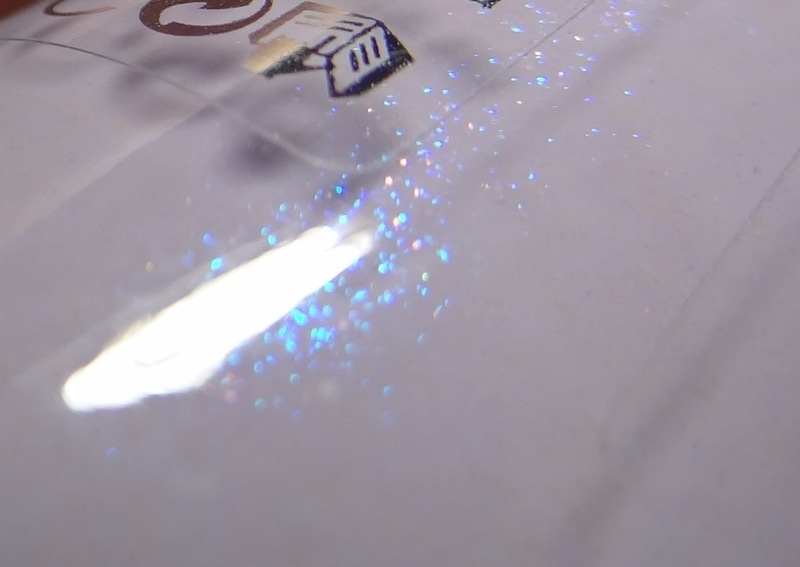 Again, I had a great time with applying it. I am wearing two coats over a base coat and no top coat. In the first photo it looks like my tips have a few bald spots or something but it was definitely not evident in real life. 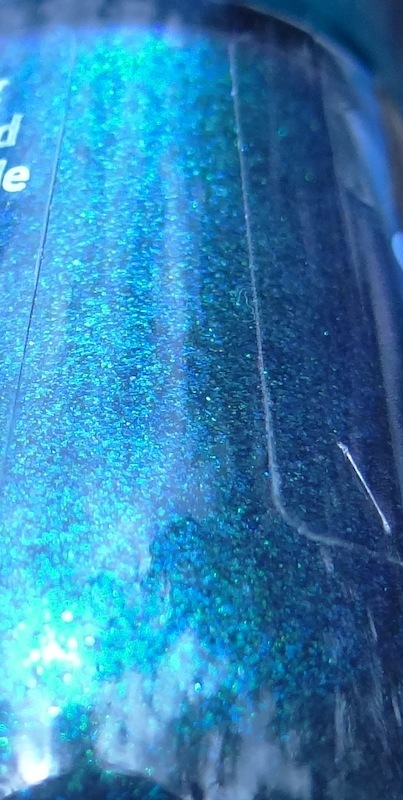 The most eye catching thing about this shade is the secret shimmer it has. You can’t really see it so much on my nails but if you look closely at the bottle of the second photo you can see the very subtle blue shimmer. In case you can’t here is a close up of the bottle. It is very subtle but definitely there and in the right light and angle it is quite gorgeous! 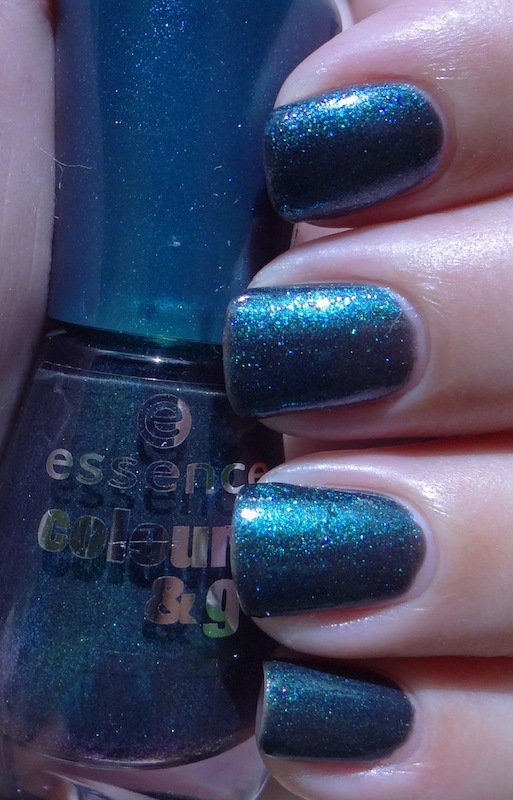 The colour of this polish reminds me a bit of Tip Top Fairy Dust. Really pretty and girly. 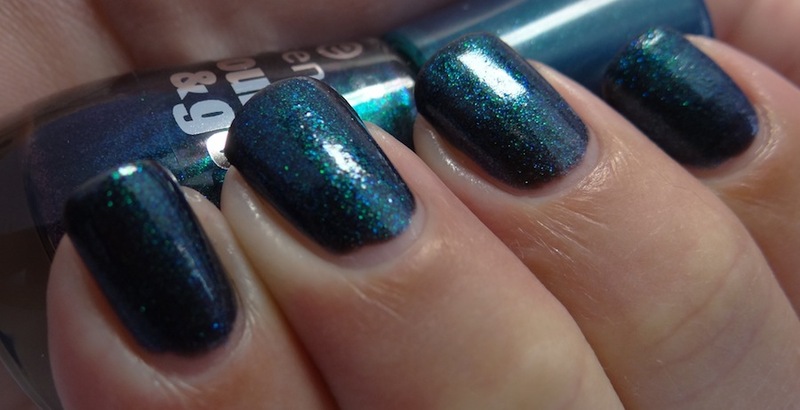 I think in the evening or in low light this polish could look much darker but the minute the light catches it the gorgeous sparkle will shine. This reminded me a little of the Essence Twilight range. Not in the colours but the versatility. If you liked those I am pretty sure you will like this. This colour! It is so gorgeous! 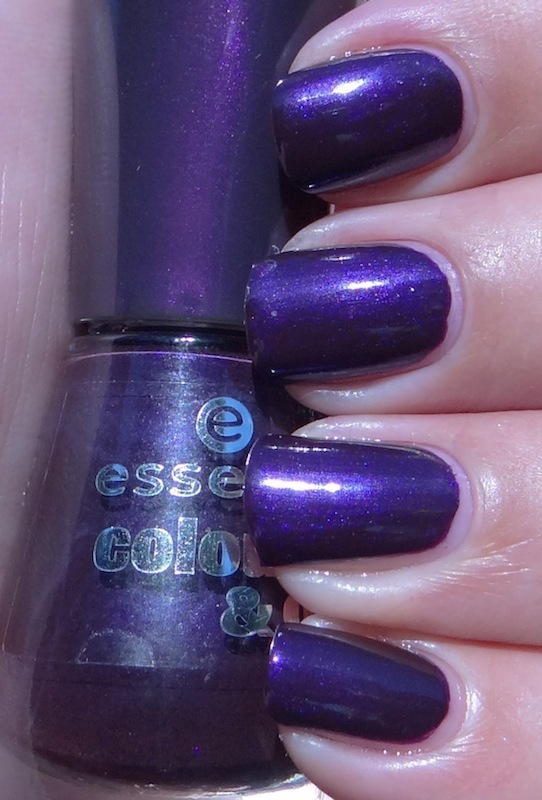 Prom-Berry is a very dark berry / purple shade, almost jewelled tone. It is beyond gorgeous. I think this is a perfect shade for winter. This is two coats over a base coat and no top coat. Application was a dream. This is definitely one of my favourites. Prom-Berry actually has another awesome quality but I am saving that for another post (Friday). Love love love….. I don’t even know what to call this colour. It’s almost like a pastel-ish lime green. Does that even make sense? I don’t really care what you call it, I love it! It’s so pretty. Again, application was a dream. Two coats here over a base coat and no top coat. This is a full on creme so no shimmer or secret sparkle here. Again, I love it. There are still one or two more that I haven’t been able to find yet but as soon as I do I will share those too. It is hard to choose a favourite out of these. Which one is your favourite? Love the Hello Marshmallow. It looks just like the Essie To buy or not to buy. You have AMAZING nails. Aw you are so sweet. Thanks a ton!! I love hello marshmallow too. It is so pretty! And again, I am obsessed with your nails! My fave polish is the marshmallow and universe ones! So beautiful! 🙂 love your blog! Aww *blush* you are so kind. Miss Universe is definitely quite unique and I didn’t think I would love it as much as I do. Hello Marshmallow is gorgeous! I luuuuurv the orange and the lilac. 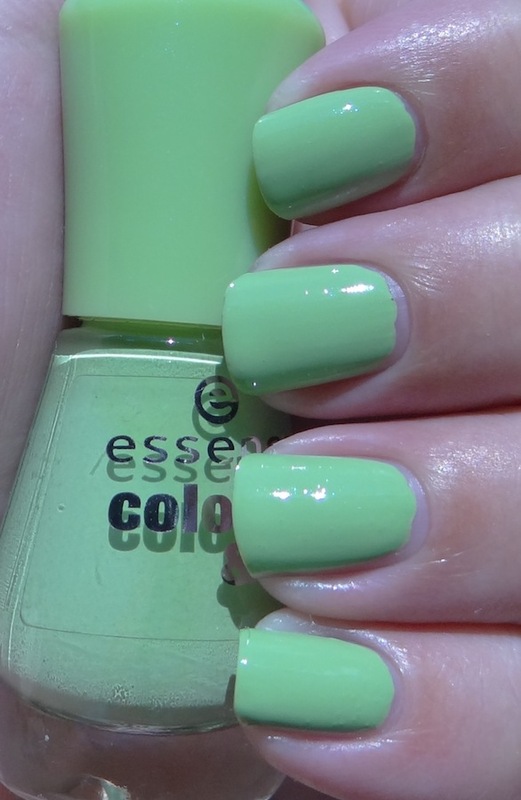 Actually essence can make a mint with a pink shimmer, looks actually kwaai I think. Miss universe would make a gorgeous galaxy mani base, I agree! The orange is so pretty. Considering it is the only orange in their colour & go range I am quite happy to see it!